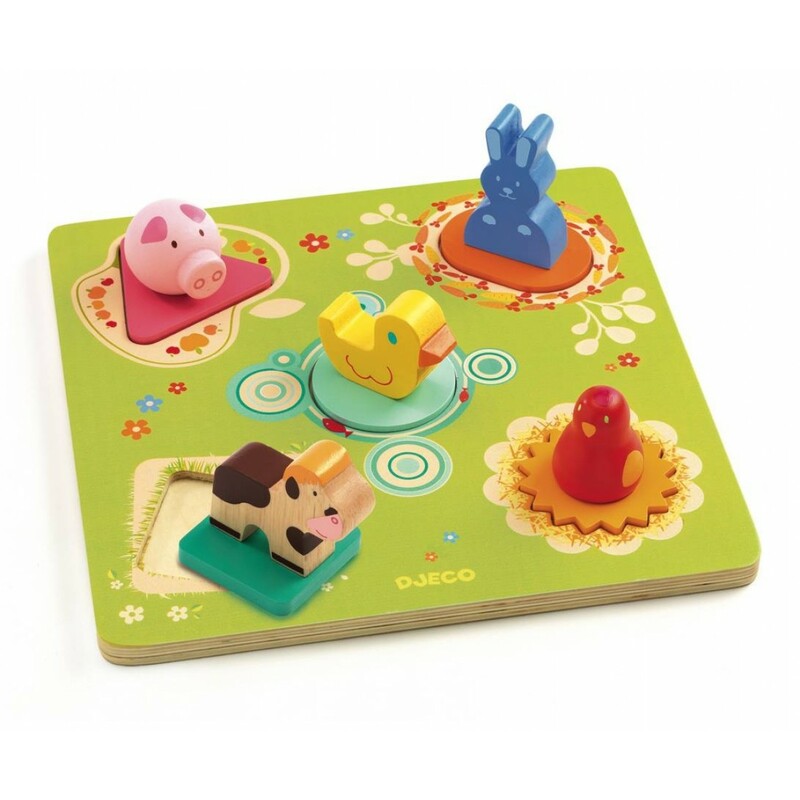 The brilliant Bildi is a puzzle with a real difference - the pieces are all little farm animals! Beautifully designed in vibrant colours and with real attention to detail, the five three dimensional pieces all have different shapes at the base, making this a puzzle that's stunning, but still challenging enough to be both educational and fun. And when the puzzling's done, why not make a little farm scene out of the adorable animal pieces! This is a really lovely puzzle that's both unique and strikingly elegant - little hands adore putting the animals in their places on the puzzle board. Bildi is a really charming, colourful and attractive puzzle, that looks amazing on any bedroom shelf. The three dimensional element makes this puzzle feel like something really special - it's almost as if the pieces are ready to come to life!